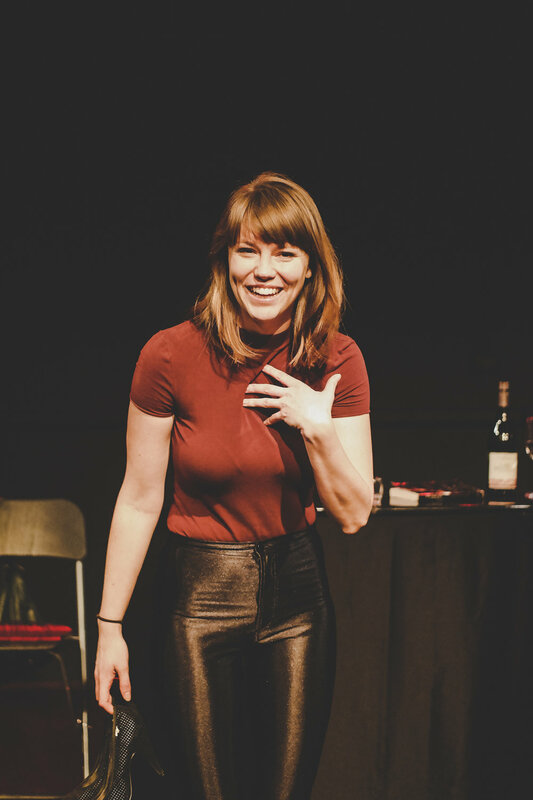 Part theatre piece and part storytelling show, Drunk Girl explores the intimacy, tenacity, celebration and terror of women who drink. We watch performer Thea Fitz-James analyze what people say about drunk girls, her own drinking, and family rituals. She asks, through 2 enigmatic characters, why so many smart, high-achieving women seem to love a drink or 10. Drunk Girl is that moment when the party takes a turn, but it's too late to leave: we’re implicated now, caught in a rollercoaster of calorie-counting keg parties, false feminisms, denial and love. Drunk Girl takes an honest look at how Drunk Girls occupy the public imagination: as contemporary crisis or radical feminist?